Health Technology Assessment (HTA) would provide a useful tool for the assessment of different technologies. HTA aims at systematically evaluating the properties, effects, and impacts of health technologies, in order to support policy-makers in taking decisions. 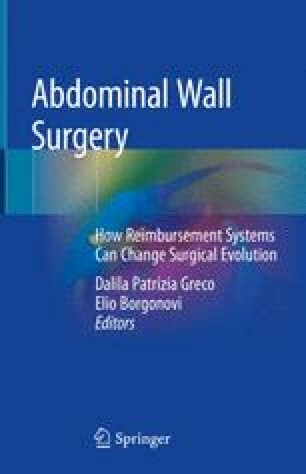 This chapter presents how HTA is conducted in abdominal wall surgery, by analyzing the main differences across many techniques that can be adopted. Open surgery, videolaparoscopic surgery, and robotic surgery are compared. Additionally, the case study of Tuscany is presented, where thanks to the collaboration of the University Hospital of Pisa and the Grosseto Hospital, the robotic technique plays an important role in the treatment of the abdominal wall hernia. The Tuscany case shows that an important change is ongoing, by presenting how surgeons and institutions may collaborate in order to find the best solution both from the side of science and of economy.